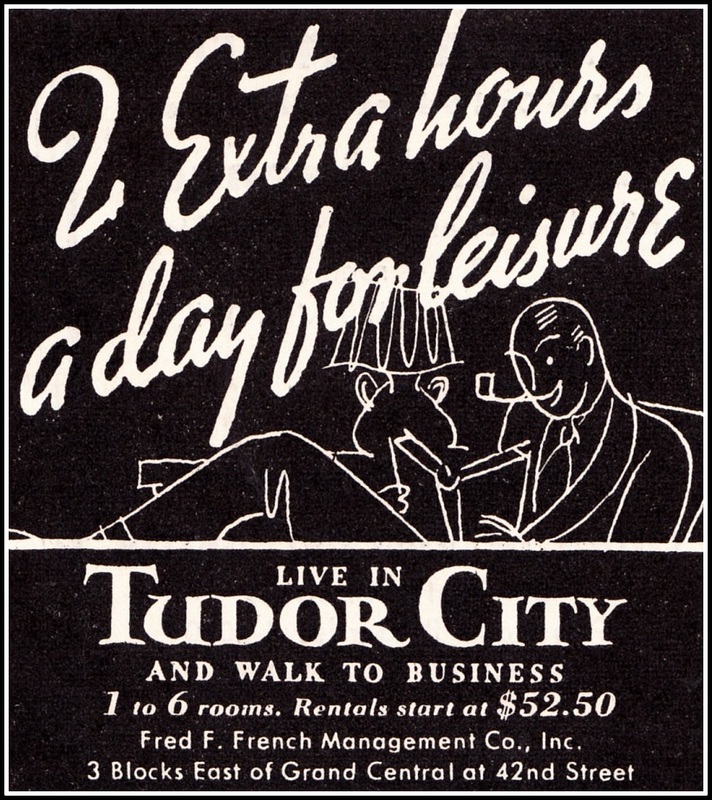 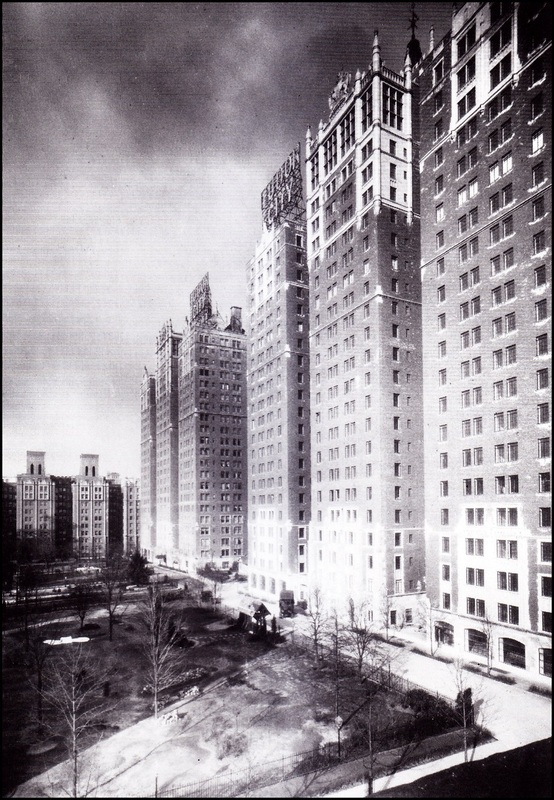 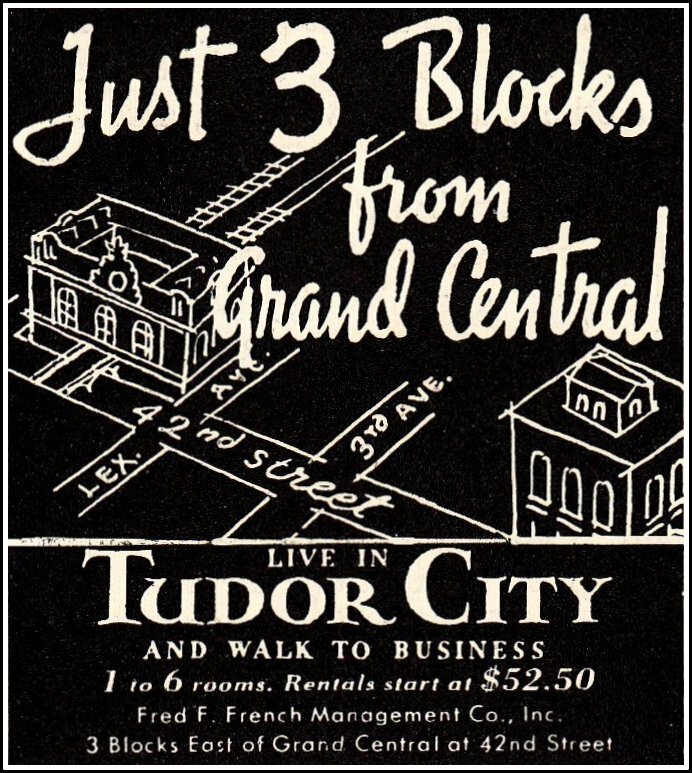 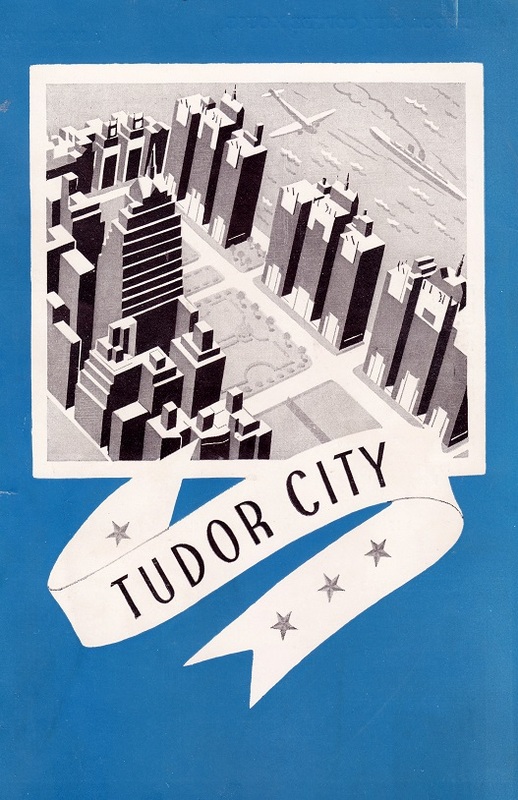 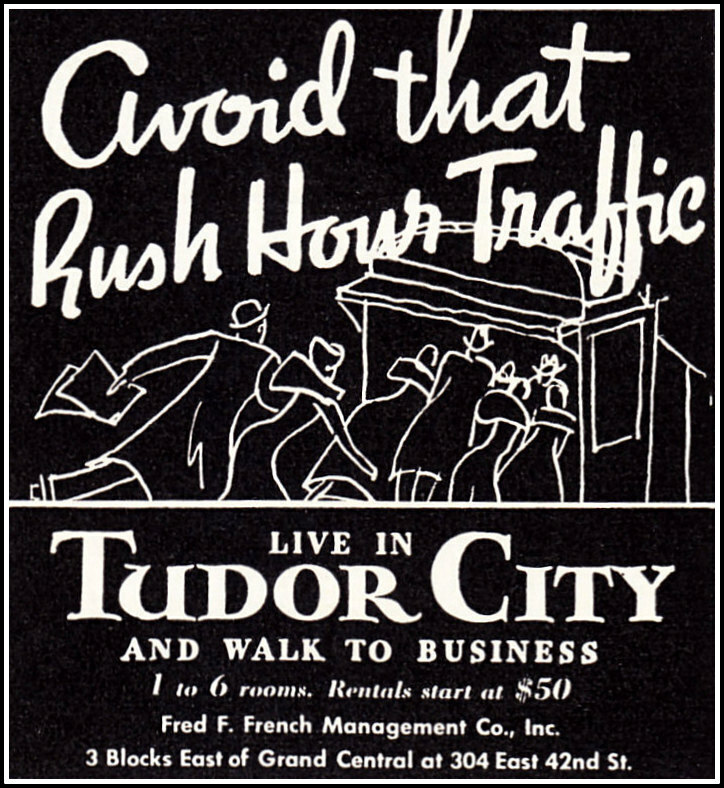 This early ad ran in June,1926, when plans for Tudor City were still on the drawing boards. 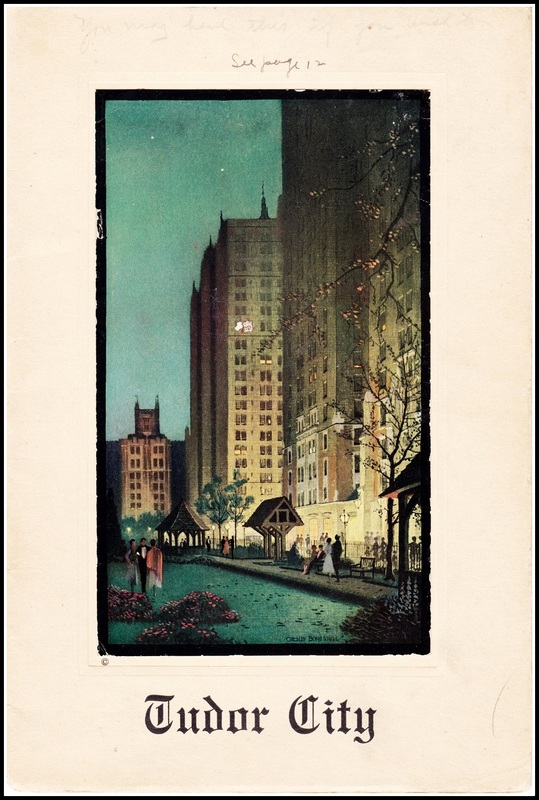 This fanciful version of what the complex would look like is just that ‒ fanciful. 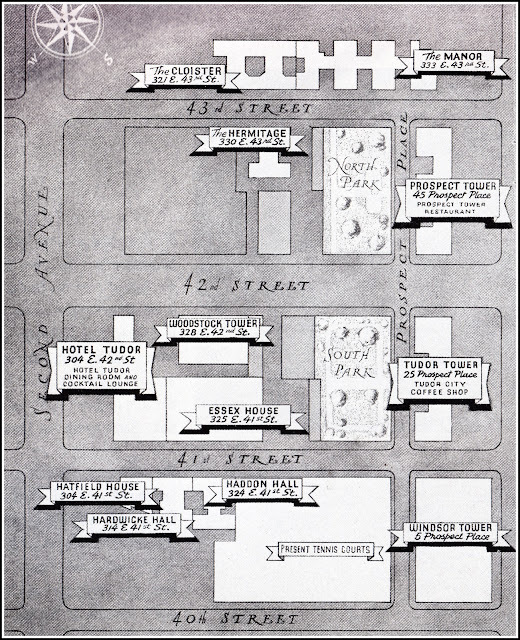 The tenement symphony at the bottom makes the complex look more majestic.